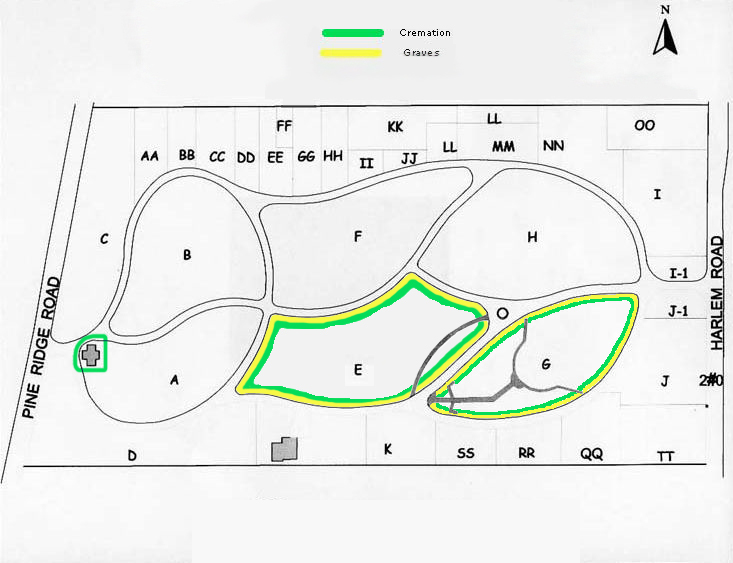 A variety of burial options are available within the five properties that comprise the Mount Calvary Cemetery Group. Mount Calvary, Pine Lawn, Ridge Lawn, Buffalo and United German and French Roman Catholic all provide a truly beautiful and unique place to celebrate a life. 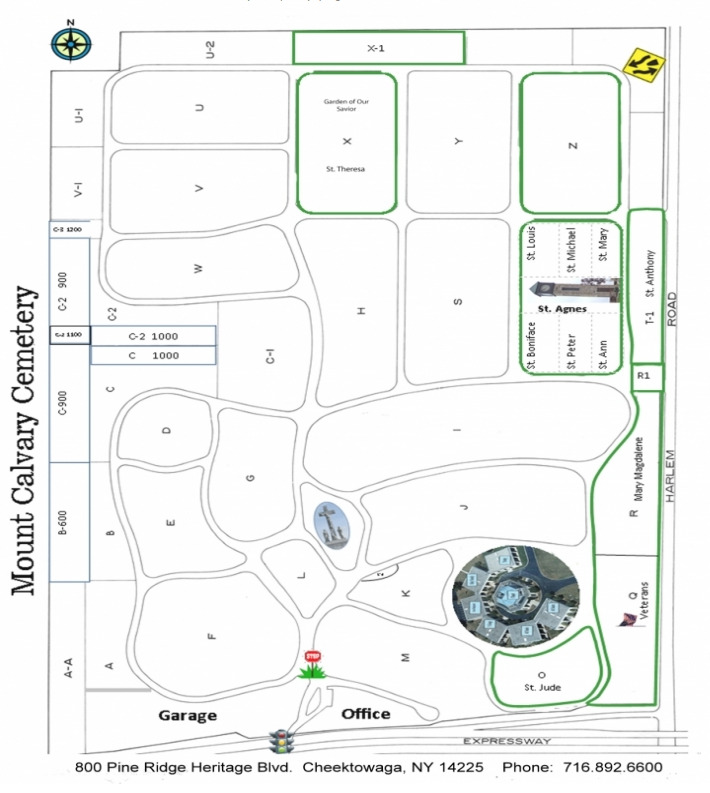 From estate and featured lots to traditional burial spaces the Mount Calvary Cemetery Group provides today’s discerning purchaser Value, Peace of Mind and Choices of Distinction. 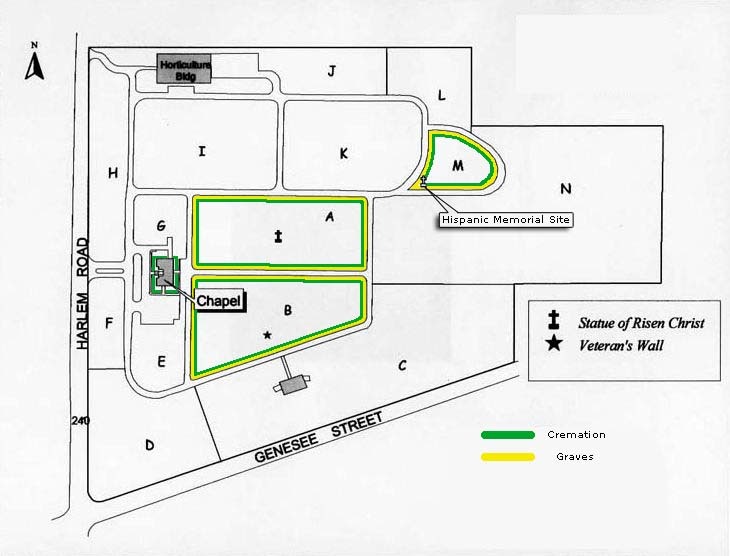 Some 365 acres lie within the Town of Cheektowaga ensuring a strong and viable cemetery to serve the needs of families for generations to come. Our distinctive and signature landmark clock tower is symbolic of the time-honored tradition of caring, attention to detail and uncompromised service to which Mount Calvary has long been devoted to. 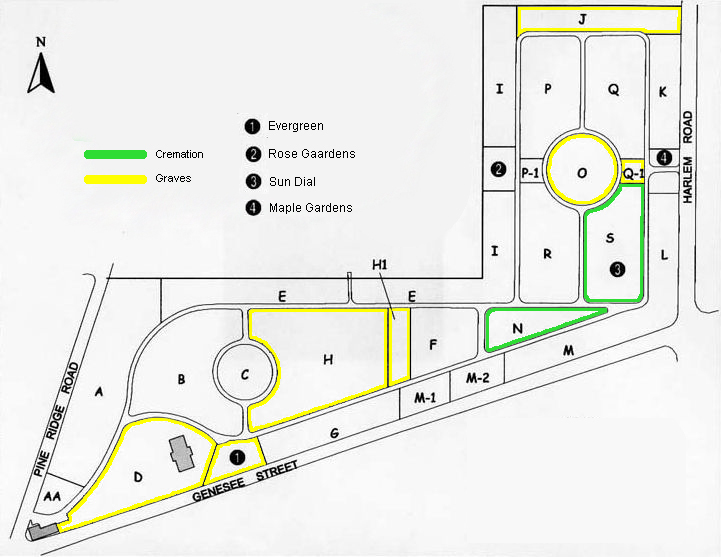 Whether you are interested in one of the garden sections or a themed section like the Veterans, please call 716-892-6600 to arrange a tour of our facilities to determine which cemetery best fits your family’s needs and wishes. Mount Calvary is the pre-eminent cemetery group in Western New York. 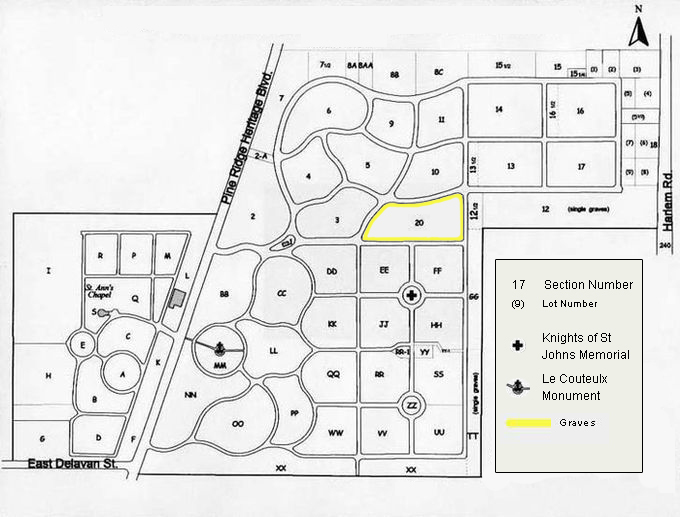 Mount Calvary Cemetery Group comprises over 365 beautifully groomed acres. Our facilities and properties are a beautiful testimony to both those who are remembered, and those who remember. If you are considering one of our properties, please see the maps below for available spaces.